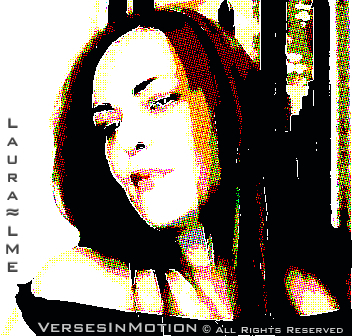 Please meet poet Laura LME, who recently published her new digital poetry collection with photos, “Verses in Motion”. I was delighted with the walk Laura LME’s poems took me on, through the smooth blue veins and pulsing red arteries of her very awake heart. As the evocative cover photo promises with its billowing scarlet drapes, Laura leads the reader to the windows and doors to be opened along the corridors of the heart. Poetry at its finest finds our hidden inner places, opens the locks we have installed so carefully, and removes the bars. Laura LME’s new collaboration with the deeply symbolic images of Anna Simi beautifully and gently transport the reader here, not away, but inward. Welcome Laura LME. What are inspirations for the poems in your new book? I love this question, because every time, I find myself replying with more details, discovering something new about my inspirational moments. Inspiration and imagination for me, run on parallel tracks, my creative world is totally unpredictable! I could never decide to lock myself up in a room to write, because that would probably mean writing nothing at all. 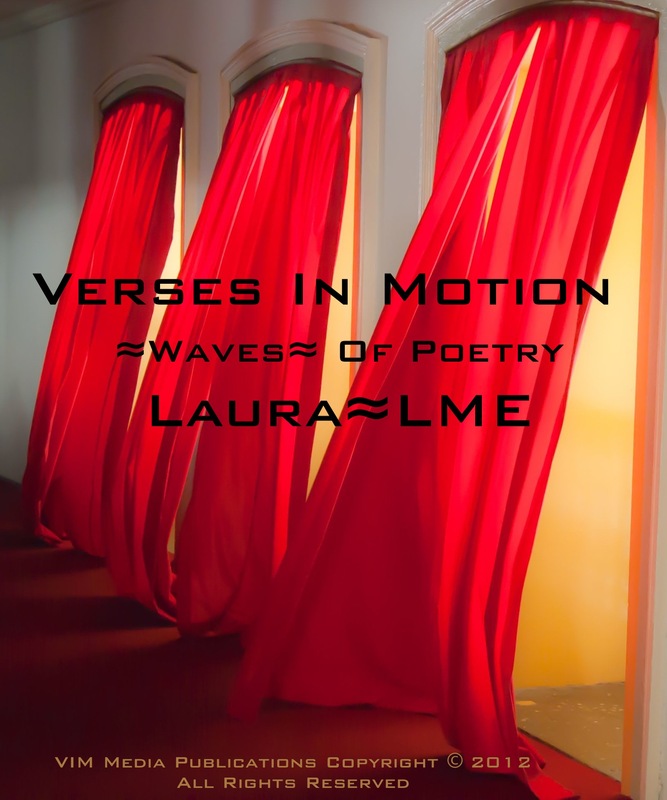 My “verses in motion” are made of dreams, desires, memories, deep feelings hid in my heart and soul, music, notes of old melodies and jumping new beats, discoveries and premonitions, visions and events. In the new book, music, definitely played an essential role. When do you write poems, in what place, at what time? How did you work with your artist photographer to select the best photos? What was your publishing experience, as an “indie” independent author? My first book was selected and released by a very well established Italian publishing company, it was an amazing debut for a first time author like me, great experience, but filled with limitations on how I would have liked things to be managed in terms of marketing and PR, book signing and presentations. At the end of the contract term I refused to renew it. When I decided to release my second book, I immediately thought about self publishing. I studied and observed the world of “independent authors” for weeks and I learned so much from other fellow authors, like you Jennifer, I felt the excitement of taking my own decisions and established a small online digital publishing company, VIM Media Publications, http://www.vimmedia.net. Our aim at VIM Media, was and is not only to publish my work, following up to the mission statement of Verses In Motion Groups and Web Pages, we are actually getting ready to publish new authors very soon, Ebooks and digital publications only. We will have our first VIM Media Publications Call For Submissions in the Fall. We are looking for new voices, with sharp and sophisticated poetic vibes, artistic and urban photography, spiritual and inspirational fiction. Further and complete details will be available on all VIM web pages, on my website www.iamlauramercurio.com and on all Twitter pages: @LauraLME @VersesInMotion @PoeticPhoto and FB VIM profiles and groups too. Thank you Jennifer, truly blessed by your support, you definitely are one of my favorite authors, a talented professional and a very special friend. Where can we find your poetry, CD and new book? Thank you for sharing your thoughts and inspiration with me and readers here Laura!